B.I.M. Fish Cookery Competition, Munster final, winners at the Metropole Hotel, Cork. The competition was held at the School of Commerce Cork. Photo Shows: Mr. T.F. 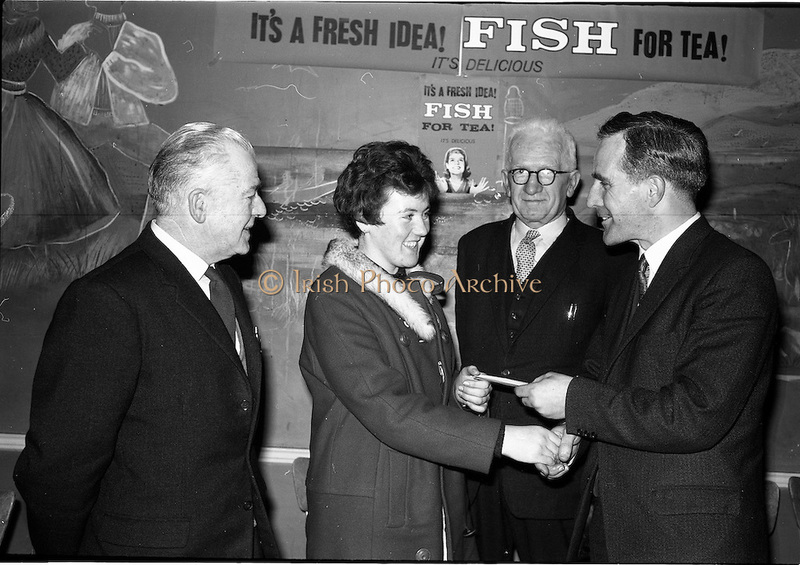 Geoghegan, Market Development Manager, B.I.M., presenting the 1st prize to Miss Phyllis Cliffe, Vocational School, Dungarvan, also in picture are Mr. J. O'Keeffe, District Inspector, B.I.M and Mr. Denis Mortell, Chairman, Cork City and County Retail Fish Traders Association.